The Chess Circuit: How Do I Improve My Chess? 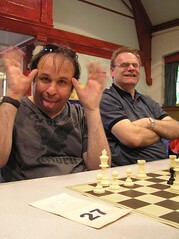 Adam Raoof's Chess Blog - more events on Chess England! How Do I Improve My Chess? The most frequently asked question I get (apart from 'when is the next round?' or 'do you have any toilet paper?') is 'how can I improve my game?'. The answer is no mystery; it is the same tried and tested method that worked for World Champions Garry Kasparov and Bobby Fischer, and it will work for you. See below. These days I am about 190 and I work with adults in NW London up to about 150 ECF to help them develop good study habits and enjoy the game at a new level. If you are interested, get in touch - my email is adamraoof@gmail.com. However, if you can't get to tournaments or join a local club then here is another idea. Firstly, it's always good to have some feedback on your games from stronger players. However, getting coaching can be expensive, and a bit hit and miss. Some coaches are very good... some are not. I faced the same problem myself; I had been a 180-190 (about 2100) player, but was very rusty and in need of practice games. I tried playing blitz on the internet, but that made things worse! I found a solution that suited me, and after a few weeks my playing strength quickly felt like it was returning to the level it was a few years ago... I wanted to play games with another member of the club, who needed some coaching and yet I hardly ever attended the club. So we both signed up for gameknot.com and letsplaychess.com and started playing email games there - not blitz, and not postal chess, but something better; You can make comments on the games as you go, which is quite useful, and not just for insulting the opponent! Soon I realised I could play serious games with my clubmates and people I met over the board using those sites, my play improved; I started studying and playing more ambitious openings and I got to practice more endgames. Believe me, I needed that! So, if you want to play a few games of email chess with me (or with any other player) you can do so via websites like gameknot.com (I am 'adamraoof') and letsplaychess.com ('greenman') for free! Seriously, the best way to improve is to combine playing slow games in tournaments with study. 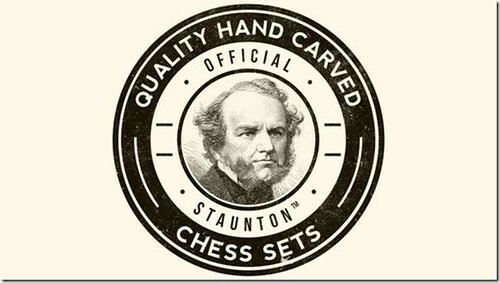 Join your local chess club and play games on the clock against better players. Study involves reading chess books appropriate for your level of play, and then applying what you learn in serious games. Computer programs and letsplaychess.com are useful for practice games, but nothing has the serious emotional commitment necessary to get the best out of you than a tournament game. Write your games down using a scoresheet or scorebook and then record them on ChessBase (see below) and analyse the crucial positions. A free resource you might like to try is Chess Microbase, which is a web-based games database that enables you to record, andlyse and share games with your clubmates. Always play stronger opposition if you can get the chance - you will learn more from those games even if you lose; get your opponent to go through the game with you afterwards (called a 'post-mortem'!) and explain their thoughts. Here is a list of FIDE registered tournaments in England. There will be a separate entry for each section of each event (e.g. Golders Green Rapidplay = 4 sections, 4 registrations). If you see any of mine missing, do let me know! Scroll down to the bottom to access the archive of events. Only games where at least one of the players has a published standard FIDE rating will be rated, and included in the rating calculations of the unrated player. Where both players are rated, the game will affect both players and will be included in the calculations for both players.